Labor Day Weekend is upon us. It is a patriotic holiday dedicated to honoring those hard workers who have contributed to our country’s prosperity. For many of us, we welcome a much-needed day off from work. For others it is a time to celebrate with family and friends, to close out another summer and begin a new autumn season. But for all of us, we want to be safe during our time off. Last year, the National Safety Council estimated nearly 400 deaths due to car crashes on Labor Day Weekend. These are not just accidents; these are fatalities. You don’t have to be driving far from home in order to be cautious. In fact, most car accidents occur close to home. So let’s be careful as we enjoy our holiday here in Snellville! We have a few Labor Day safety tips to suggest for the coming holiday weekend. Obviously buckling up doesn’t help prevent an accident from occurring – but you better believe it can save your life if you do get into an accident. Even if you’re just driving down the road or through the neighborhood, you can still get into a car accident. Don’t play it cool – play it safe. Buckle up. You’ve heard it a million times, yet people continue to drink and drive, putting themselves and other people – other innocent people – at risk. If you’re going to a Labor Day party or BBQ and you plan to drink alcohol, plan ahead so you don’t get into a situation where you might be tempted to drive. If you do have to drive home later, stop drinking early enough in the day to allow yourself plenty of time to sober up. Otherwise, get a DD (designated driver), call a cab or have a trusted friend or family member pick you up. If you’re driving and you see another driving who might be intoxicated, don’t wait – call 911 and report it immediately. It is worth the risk of being wrong – because if you’re right, it could save someone’s life. Stay Alert – No Texting and Driving. No distracted driving! You might be driving through a neighborhood where people are walking, barbecuing outdoors, children are playing ball, and pets are lounging in the yard. Stay alert and aware of bicyclists and pedestrians, especially those that might dart out behind parked cars. The same goes for driving on the roads – by being alert and undistracted, you could avoid an accident by someone who is driving tired or even intoxicated. Allow plenty of time to get where you’re going, knowing there might be traffic. Use Google maps or another navigation tool to check traffic before you leave for your destination, and take less crowded roads if possible. Remember that everyone wants to get where they’re going. Stay calm, be patient and set a good example. The road is no place for anxiety-ridden, impatient, angry, impulsive people. The more cautious, careful, responsible, patient drivers on the road, the better for us all! Yes – you can enjoy the holiday weekend. And Labor Day is a special holiday weekend for all to enjoy. But please drive cautiously and responsibly. Follow our Labor Day safety tips when you hit the road. Walker Smith is your full-service maintenance, auto body, paint, and auto repair shop in Snellville GA. We’re the auto body shop Snellville calls first. 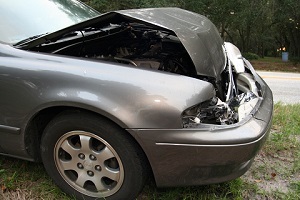 If you have auto body damage, call us first. We’ll fix your auto body damage!